A close, soothing shave for sensitive skin. An unscented, icy-blue shave cream that is formulated with Aloe for sensitive skin. Enables a full bodied, magnificently smooth shave. Provides a rich after feel. Formulated for all skin types. 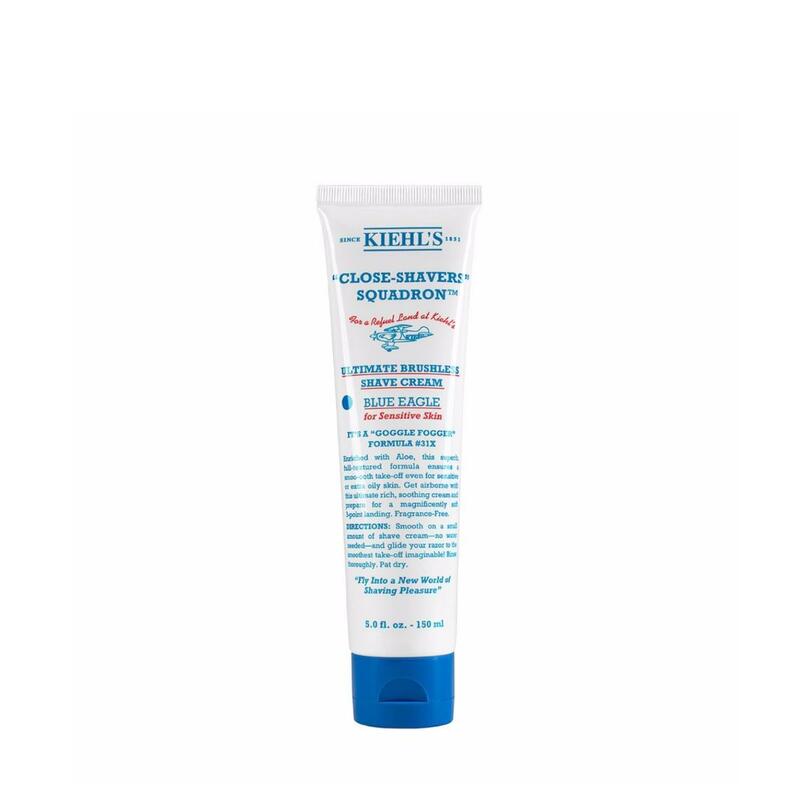 How to Apply: We recommend shaving after a warm bath or shower and/or after using the Kiehls facial scrub appropriate for your skin type. You may also apply a damp, warm towel to the face prior to shaving Smooth on a small amount of shave cream (just enough to cover shaven area). No water is needed, just glide your razor for a smooth shave. Follow with a Kiehls toner and moisturizer suitable for your skin type.